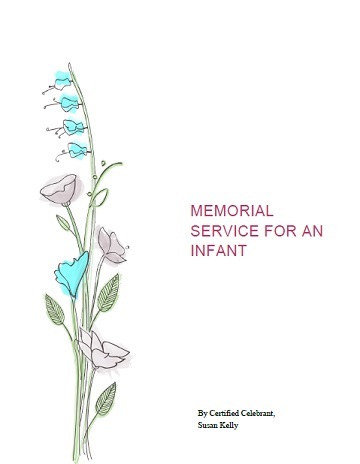 Would You Like A Step by Step Guide For Planning A Funeral or Memorial Service For A Baby? Struggling or overwhelmed in planning a funeral or memorial service for a baby? Would you like additional help? 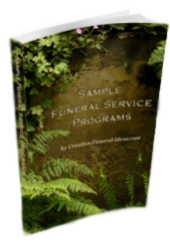 One alternative is to use a funeral celebrant to create a service for them, at a cost of approximately $400. Celebrants, which I am one, will orchestrate a wonderful service for you. However if you want to keep costs down or want to have more control of the service, if I could give you a an effective step by step guide would you be interested? 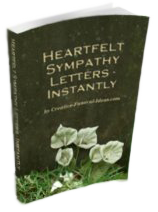 I invite you to purchase and download my Memorial Service For An Infant Guide, to provide you with the A-B-C formula for the entire service. Recently my sister-in-law was planning a Scattering of Ashes Ceremony. She didn't know where to start. I wrote a service, and she then made adjustments to it, to enable her to speak it in her own words. That's what my template will do for you. It is a sample of a complete service for an infant with step by step instructions. You won't be able to use it completely word by word, as it must be personalized. But it will lay out the steps, and provide you with lots of examples and inspiration and for what to say and do. The service has a slight spiritual tone to it, but not religious. However if you would prefer more of a religious element, you can substitute hymns instead of songs, and bible readings instead of poems. Opening Words to commence the service. A Lighting of Candles ceremony if you so wish. You will be able to create a beautiful service. And save you hours of time, struggling with all the decisions while you are aching like a broken rib. 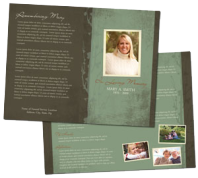 It is designed to make the planning of a memorial service for a baby as easy as possible for you. And it provides actual examples of talking about the grief, the baby and the importance of this little life, that is so crucial for the service and to help release some of the grief. Best of all, it is only $27.95 and available for immediate download. Click on the link below which will take you to Paypal where you can pay with either a Paypal account or credit card. Your transaction is 100% secure. 100% Satisfaction Guaranteed.